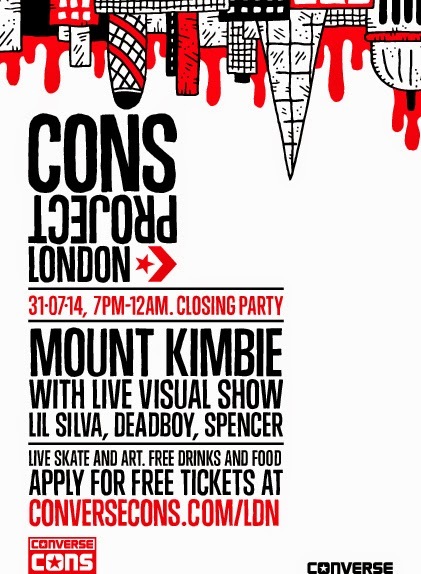 The Converse-sponsored CONS Project London is drawing to a close. Having already shone the spotlight on the overlapping drum & bass, garage, grime and dubstep scenes, the finale will play host to headliner Mount Kimbie and support from other forward-looking acts Lil Silva, Deadboy and Spencer. Mount Kimbie's graduation from the expert bedroom production outfit behind Carbonated to fully fledged alchemists of acoustic and digital on the likes of You Took Your Time has been nothing short of spectacular. If you can make it to Peckham this Thursday for the final show, apply for free tickets here.